Ideal for 3 and 4 wheel mobility aids (scooters) and light industrial products such as pedestrian sweepers and scrubbers. 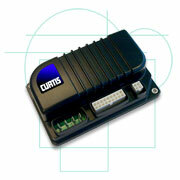 The Curtis Model 1210’s programmability allows it to be used anywhere low power permanent magnet motors are employed. Optimized for use on modern 3 or 4 wheel mobility aid scooters. However, the model 1212’s programmable options also allow it to be used on any low power permanent magnet motor application. Optimized for use on light-duty Class III pallet trucks and similar electric industrial vehicles. The 1212P’s programmability allows it to be applied on any low power PM motor application. The Curtis Model 1212P and 1212S Motor Speed Controllers provide efficient, optimal control of permanent magnet drive motors for battery powered industrial vehicles. Optimized for use on light-duty Class III pallet trucks and similar electric industrial vehicles. The 1212P & S’s programmability allows them to be applied on any low power PM motor application. 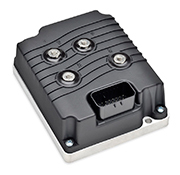 The Curtis Model 1220 is a brushed DC permanent magnet motor controller for electric power steering, steer-by-wire systems and only works with Curtis VCL enabled AC traction controllers. The steering motor functions as an actuator to change the angle of the wheel(s) thereby changing travel direction. Model 1220 interprets the steering command input and wheel position feedback, driving the steering motor to move the wheel to the desired position. Intended applications are Class 3 material handling vehicles such as pallet trucks, stackers and other similar industrial vehicles. Permanent Magnet Motor Speed Controller provides smooth and precise operating control, providing maximum user confidence. 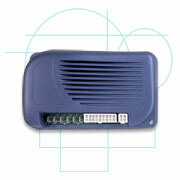 Model 1228 fully complies with European and US regulations and is fully programmable. For OEM applications on three or four wheeled mobility aids, such as scooters and for light industrial equipment such as sweepers and scrubbers. The Curtis Model 1229 is a sealed, heavy-duty permanent magnet motor speed controller intended for demanding traction applications in hostile environments. It utilizes an advanced powerful dual-microprocessor logic architecture for maximum functional safety and accurate speed control. The Curtis Model 1229 is designed for large industrial permanent magnet motor applications, such as floor care machines, utility tugs/pushers, burden carriers small material handling vehicles and AGVs.